Manaus, as the capital of Amazonia State of Brazil, carries a large load of urban pressure in the middle of the tropical land. It serves not only as a transportation hub between ground and waterways, but also as an economic communication center, a culture melting pot and a nurturing site for farming goods. The development of Iranduba (the satellite city across the river from Manaus) was naturally introduced to mediate the pressure Manaus is bearing. 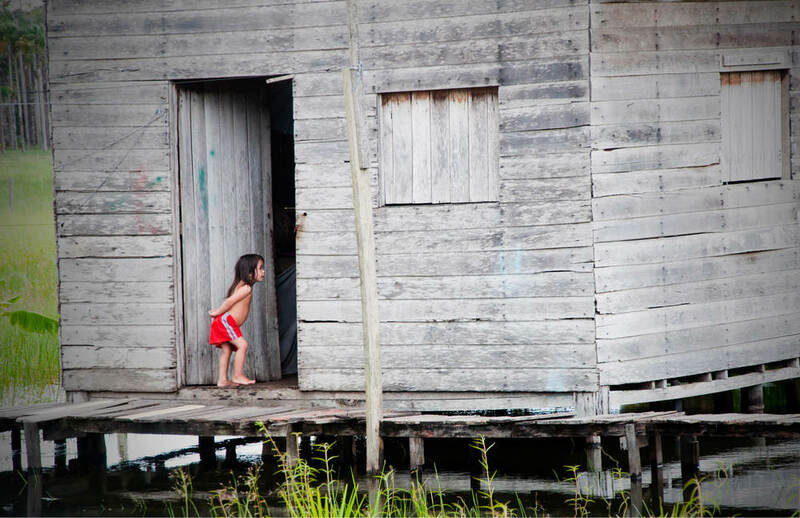 As population grows in Manaus, the limited land usage forces the local residents to migrate to Iranduba, where the soil condition is more complicated for habitation purposes and a sustainable planning strategy is urgently needed. Transitional programs were designed to be a cluster of entrepots and Tectonic language study of the local materials and construction method aided the detail of the design for the forms of each of the cluster. Within the urban realm of the central capital city, farming and manufacturing necessities are consistently required by people’s daily life. The high import rates over export rates highlighted the land management obstacles of Manaus. The special topography sets the limit of growth in the city, so that the source-seeking process naturally passed over to the satellite city - Iranduba. By analyzing the geographical advantages and disadvantages in Iranduba, the planning was directed to establish a complex transportation circulation system both in water and on land. The programs of the city are gathered as clusters to perform a faster delivery chain between farm lands, manufacturing factories and markets. The intersection node of each chain hosts an ecological entrepot for terminal services which is different as Manaus. The invention of the modular tectonic aggregation structures is based on the specific geographical type in Iranduba. As layers and layers of nutritious soil deteriorates by collision of amazon river water, stronger bounding force can be generated between the joints. The reciprocal force is introduced by the different size wedges, which continues the form in a stable and coherent way. The typical soil type in Iranduba gets erroded easily, with the reciprocal structures, buildings can sustain for longer period of time.